Each half term a different year group will have the chance to attend these after school clubs – see timetable below. In art club we are exploring different mark making techniques. 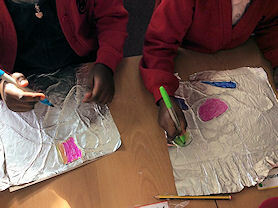 We will be using a variety of materials to create images including felt pens, pencils, chalks and oil pastels. We will be creating abstract pieces of work and working on self-portraits. 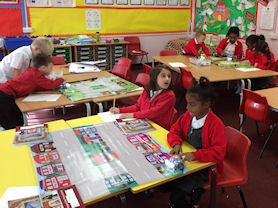 Computing club focuses on coding and debugging using robots, laptops and iPads. Children will be given a chance to program a bluebot and debug algorithms. In order to extend our coding knowledge further, the children will also be using BGFL365, Scratch and Code.org to learn coding language. Design Technology Club involves both design and make skills. 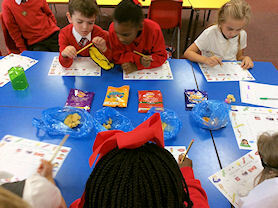 Each week children will be given different activities related to the Seasons, Current Topics or Special Events. Activities will include drawing and labelling diagrams, constructing with a variety of tools and materials and evaluating final products. Children will have opportunities to work both individually, with a partner or as part of a small group. Allowing children to be creative and to use their imagination will make for a fun, exciting DT Club! In Humanities club the children are given different activities related to their current history topic in school. 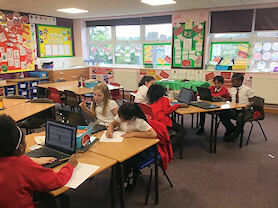 The children use different sources from laptops and books to research their chosen area and then produce work linked with this. Humanities club particularly focuses on British History, exploring the lives of the Kings and Queens and England and delving into the lives of ordinary citizens in these times. 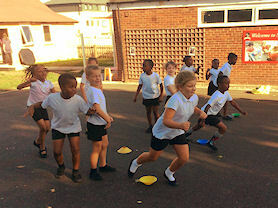 We play a variety of different team games challenging each other to find the best tactics to win the race, we work as a team and enjoy playing games which are for a challenge for everyone. 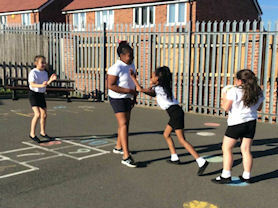 Netball Club is for all boys and girls that would like to improve their skills and learn to play a full sided game. Children will learn how to throw and catch consistently and accurately, using the correct technique. Children will learn how to apply the footwork rule and shoot. Children will also learn the rules of the game and the positions. 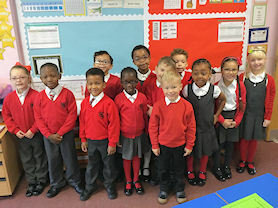 Mrs Bryan’s Science club meet each Monday after school to carry out fun scientific investigations and activities.They will be investigating flavours of crisps, making pasta towers, building nests and completing the egg drop challenge. At yoga club the children are learning to stretch and balance in lots of different ways. We are learning to focus our minds and our bodies. We have also spoke about the many benefits of yoga including improved concentration, great physical activity, helping to de-stress and support mindfulness.